(SPOILERS) I’m sure there’s been a move to rehabilitate each of Hitchcock’s more neglected pictures at some point, doubtless to varying degrees of success. 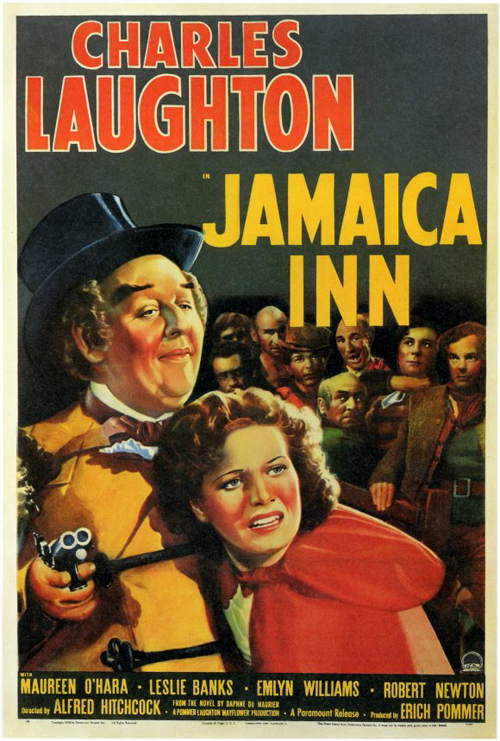 Jamaica Inn, certainly, is justifiably deemed one of his lesser works, his last before eloping to Hollywood and a rare journey into history for the director, one with little for him to get his corpulent teeth into. It looks great, Cornwall atmospherically conjured in the studio, but art direction and cinematography simply aren’t enough. 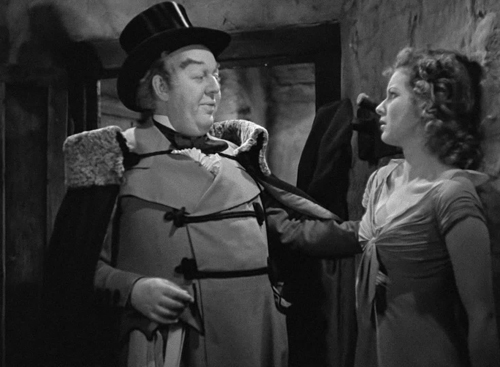 Hitch apparently wanted out almost as soon as he read the screenplay (he knew star Charles Laughton, as well as being of similar gait and age, and agreed to make it sight unseen), bringing in Sidney Gilliat to rewrite Clemence Dane’s adaptation of Daphne du Maurier’s novel. 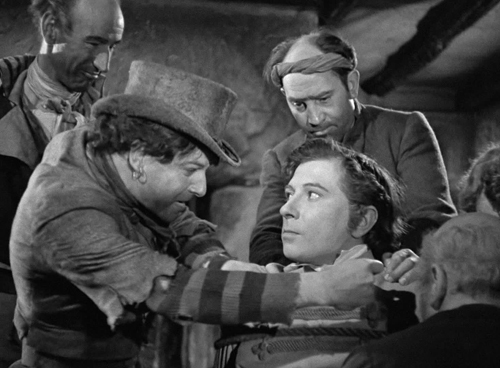 Laughton was originally earmarked for the uncle, but decided he fancied playing the squire instead (who had to be written from a villainous vicar – the brother of innkeeper Uncle Merlyn – due to Hayes Code stipulations) and brought in JB Priestley to beef up his dialogue. The aspect of these changes that most aggrieved the director was having to knock the whodunit aspect on the head, revealing the squire as behind it all before the half-hour mark. I’m not sure how legitimate a complaint this is in isolation, as Hitchcock frequently experimented with the suspense of the audience knowing something the protagonist doesn’t. In this case, however, there’s definitely something up, as Jamaica Inn has no wind in its sails. 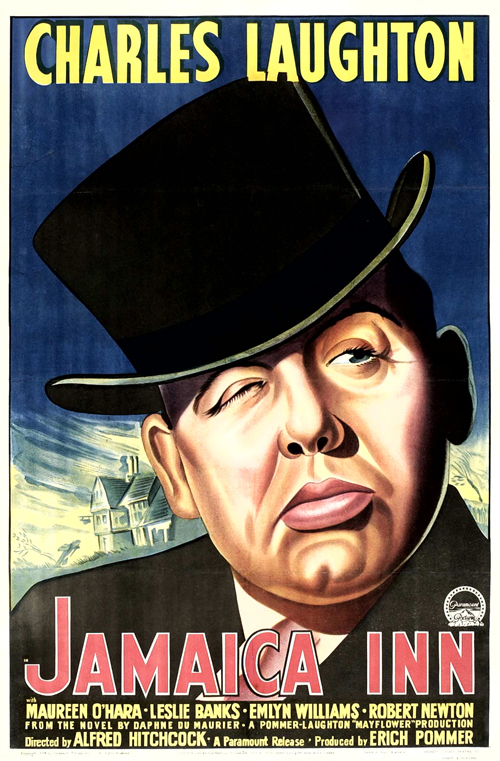 While Hitchcock referred to Laughton as “a nice man. A Charming man” he was also profoundly annoyed by his behaviour, observing that “He wasn’t really a professional film man”. 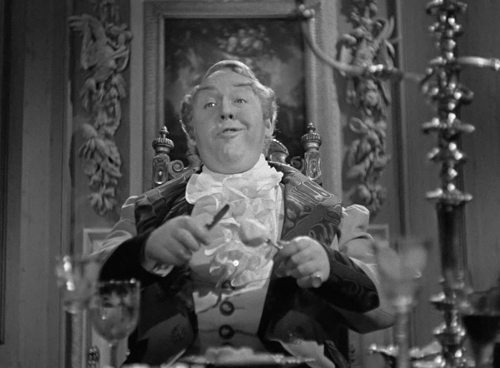 Laughton requested that he be shown only in close shots until he worked out Sir Humphrey’s walk, which turned out to be “inspired by the beat of a little German waltz” and played a scene as a small boy who had wet himself (I have to admit, I can’t tell which that is). 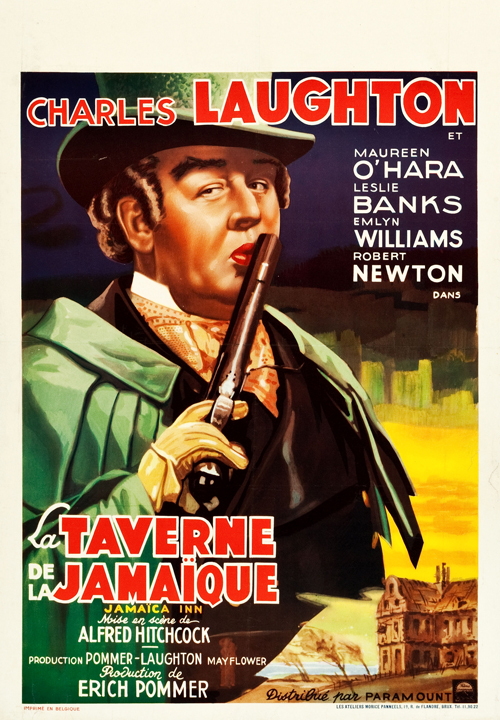 Laughton is definitely hamming it up hugely in Jamaica Inn, and I usually have a great deal of time for prime ham, but it doesn’t really slice here. This may be because the plot is so sloppy, and his performance fails to offer effective contrast. The result, between his star’s demands and producer Erich Pommer, was that Hitchcock felt he was refereeing the picture rather than directing it. His next film, Rebecca, would see him slam dunking Du Maurier, but here her milieu entirely gets the better of him. That said, what’s wrong with Jamaica Inn is mostly about pace and tension; it isn’t actually bad. How it ended up in Michael Medved’s The Fifty Worst Films of All Time (And How They Got That Way) is a mystery (perhaps he just wanted a Hitch on his list). And it only actually begins to become a chore during the last 40 minutes. 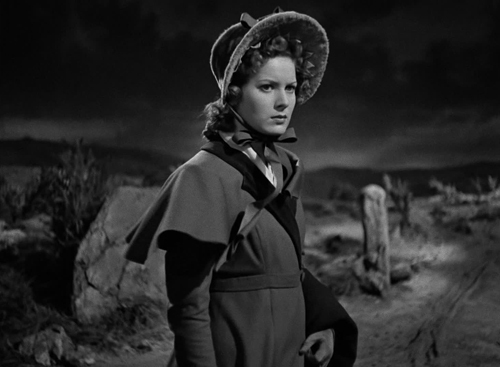 While Maureen O’Hara (in her screen debut, picked by Laughton and destined to play opposite him in his next big hit, The Hunchback of Notre Dame) rather fades in and out of being the lead character depending on the requirements of Laughton and the need for heroics from undercover cop (well, law officer) James Trahearne (Robert Newton, who would turn to villainy a decade later, first as Billy Sykes in Lean’s Oliver Twist and then as Long John Silver in Disney’s Treasure Island), her introductory passages do engage. Dropped off way past her intended stop (the titular inn) by a fearful coachman, she fetches up at Sir Humphrey Pengallan’s abode, a plush, decadent palace complete with a horse in the hallway. 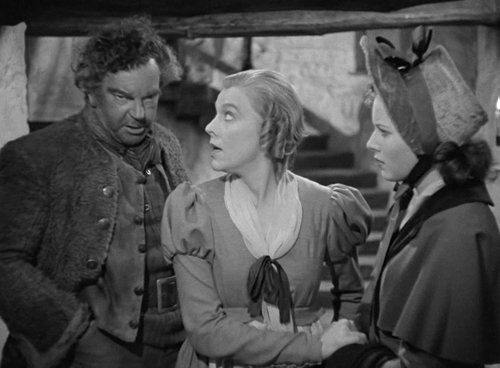 She proceeds to show mettle in the face of her lecherous uncle Merlyn (Leslie Banks) and attempts to persuade her aunt (Marie Ney, playing the familiar battered wife, ritually justifying her husband’s actions) to have shot of him, amid some rather insensitive remarks (“You were beautiful” she says of her aunt in years past) before saving Trahearne from a lynching and making a run for it herself soon after. 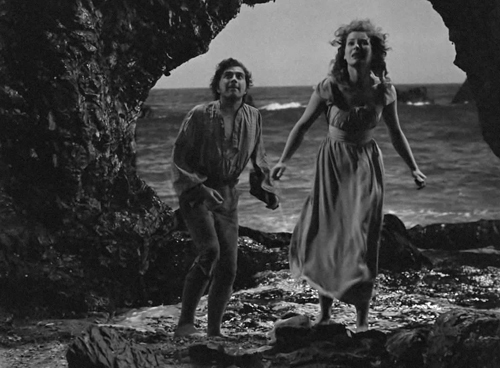 This sequence is a glimpse of classic Hitchcock at work: Trahearne strung up, Mary watching through a hole in the floor – she breaks through the boards to reach the beam and cut through the rope. It does seem to have been rather foolish and not very savvy of Trahearne to be spread dissent among his fellow wreckers if he meant to maintain his cover, however. Later, they must escape from a shore cave as the wreckers give chase, before being taken in by Sir Humphrey. Certain moments and performances stand out. Emlyn Williams plays Merlyn’s second Harry as psycho dandy in a hat, spitting in a guard’s face as he awaits execution, and could almost be regarded as a predecessor to Alexis Kanner in The Prisoner and Malcolm McDowell in A Clockwork Orange. Merlyn is offered surprising near-redemption as he rescues Mary for the sake of his wife (“I’ll manage her, just like I manage my Patience” he threatens early on), before both he and Mary are killed by Sir Humphrey (“A good, clean shot, wasn’t it?” observes the latter casually), and there’s a palpable air of sexual threat surrounding Mary throughout, in these wild, inhospitable climes. Then there’s Wylie Watson (Mr Memory in The 39 Steps) looking forward to a proper public execution, with the women watching. 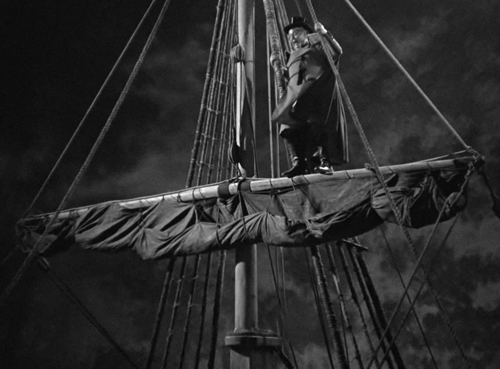 And Sir Humphrey’s exit, as he leaps from the rigging before he can be strung up (“What are you all waiting for? A spectacle? You shall have it, and tell your children how the great age ended. 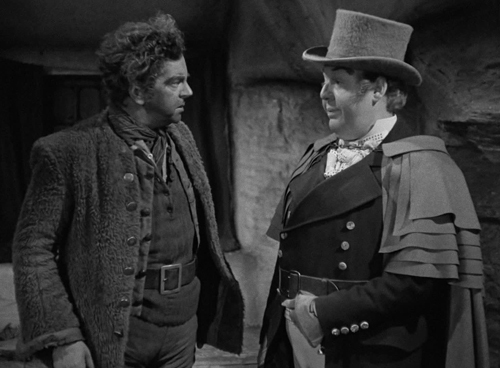 Make way for Pengallan!”) It’s been underlined that Sir Humphrey’s actions are mitigated somewhat by his being mad (his grandfather suffered from such a condition, and Mary protests as much at the end), but Laughton’s performance is such that this element never really beds in. Perhaps the best scene, though, is the opening. 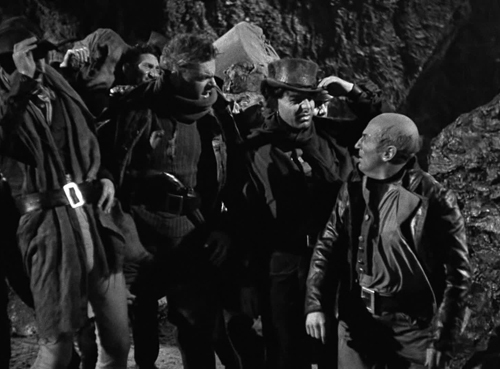 Merlyn instructs “No one gets clear of the wreck!” as his crew brutally fall upon the survivors; in the aftermath, Harry whistles nonchalantly as he wipes his bloody knife on his sleeve. Such incidents aren’t enough to make this shine, unfortunately. The great director clearly didn’t want to linger on what he saw as a failure (albeit, not commercially); this is one with less than a page and a half of commentary in the Truffaut book. It may also not be a coincidence that this was his last film without a cameo (although, perhaps the prospect of dressing up in period garb dissuaded him).